An uncontested divorce is often the least expensive marriage dissolution solution for a married couple that wishes to go their separate ways. 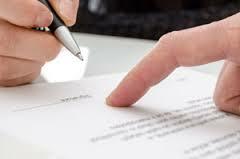 This situation occurs when both parties agree to all the terms and conditions of the separation agreement. Having legal representation may not seem like it is necessary, but our Clarksville team of attorneys has seen many instances where an uncontested divorce can quickly become contested and escalate rapidly. Call today for a FREE consultation and we’ll discuss the unique particulars of your situation. It is rare that a couple who is going through the divorce process will agree on everything from the outset. Minor disagreements are common, even if both parties agree that a divorce is the right way to proceed. In the State of Tennessee, however, ANY disagreement makes an uncontested divorce become contested. This is why the mediation and negotiation phases of a divorce proceedings are so critical. The further along a divorce stays contested, the higher the costs that divorce will be for both parties. Your Clarksville attorney will strive to protect all your rights and represent your position throughout the negotiation process. The experience that our team has can help to resolve most minor issues immediately so that a divorce can remain uncontested and you can keep more of your money where it belongs – in your checking account. What Happens If Everyone Agrees On the Proceeding? If there are no disagreements from either party in a divorce, then your Clarksville attorney will prepare the marriage dissolution documents that are mandated by law. If you have children, a permanent parenting plan must also be filed for the court’s review when the initial complaint is filed. Once this occurs, you must wait the mandatory amount of time for the divorce to proceed, which is a minimum of 60 days and a maximum of 90 days if children are apart of the divorce. After the waiting period expires, the typical experience seen is a brief final hearing before the court where the divorce is finalized. If you’re ready to get started with your uncontested divorce, then now is the time to act! Your free, no obligation consultation with a Clarksville attorney can help you begin the first step in the separation process. 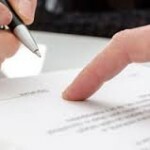 At Turner Law Offices, P.C., our divorce attorneys are experienced at resolving divorce cases quickly and economically. We have over 20 years experience handing over 15,000 client matters, providing fast service and excellent legal advise to our clients. Request Free Initial Consultation Online or call our office today to schedule your in person free initial consultation.